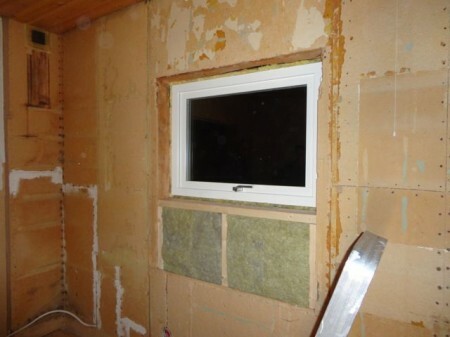 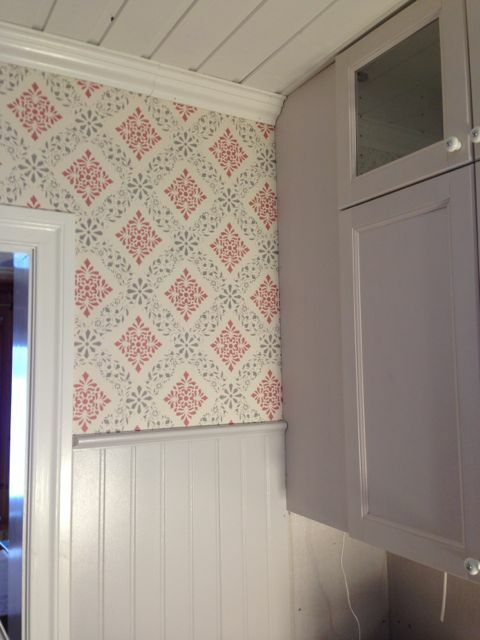 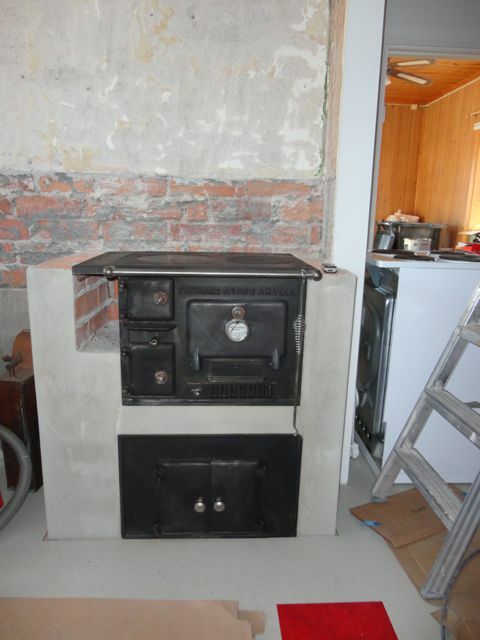 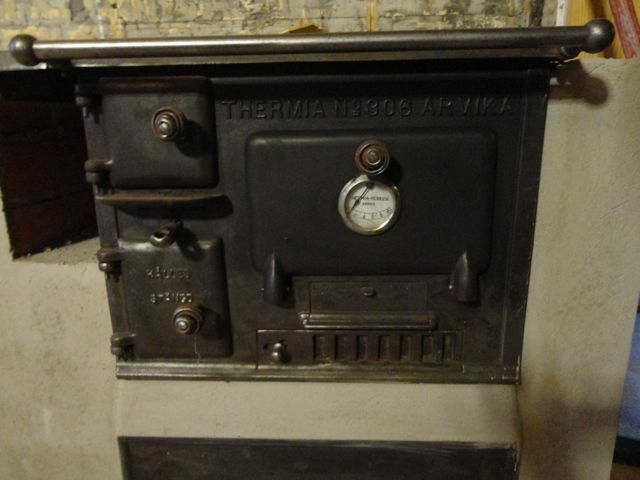 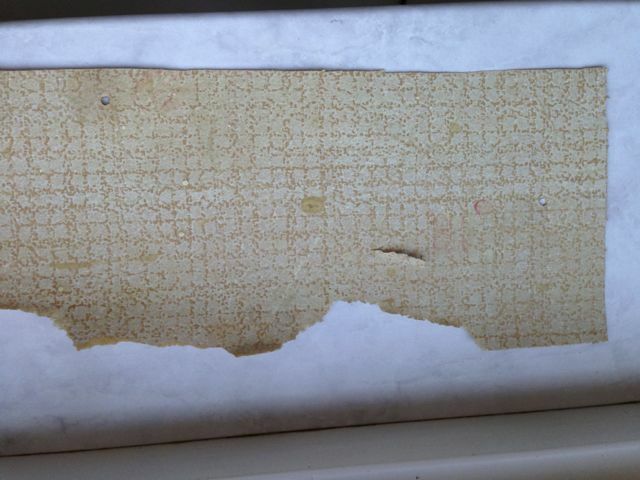 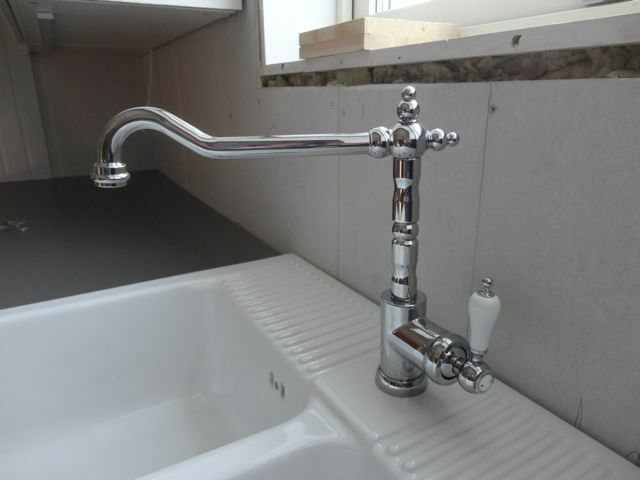 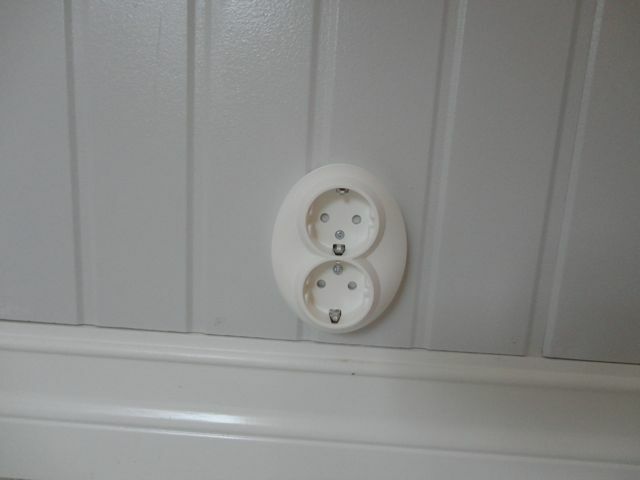 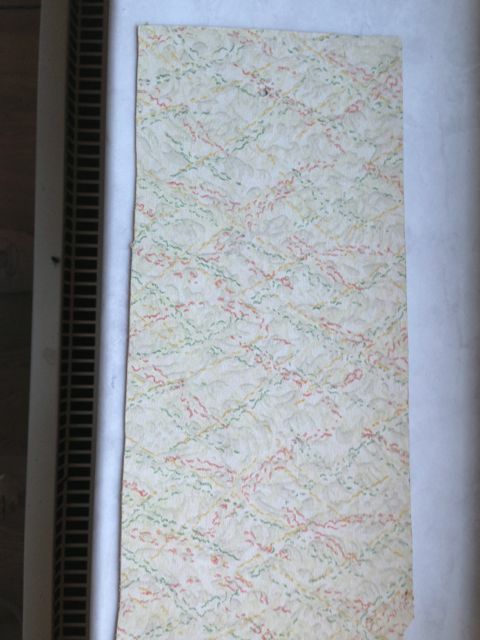 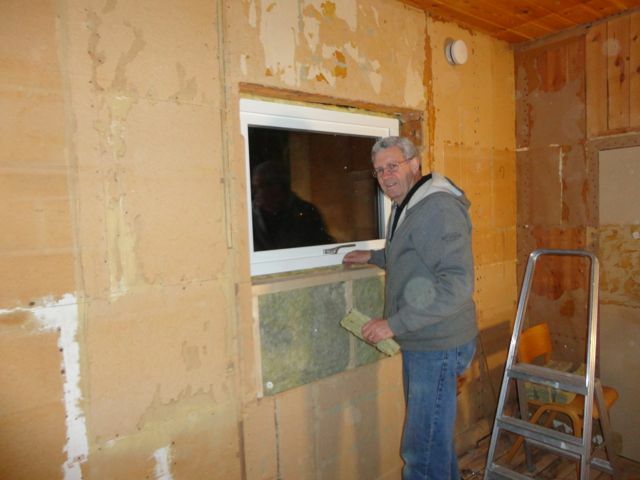 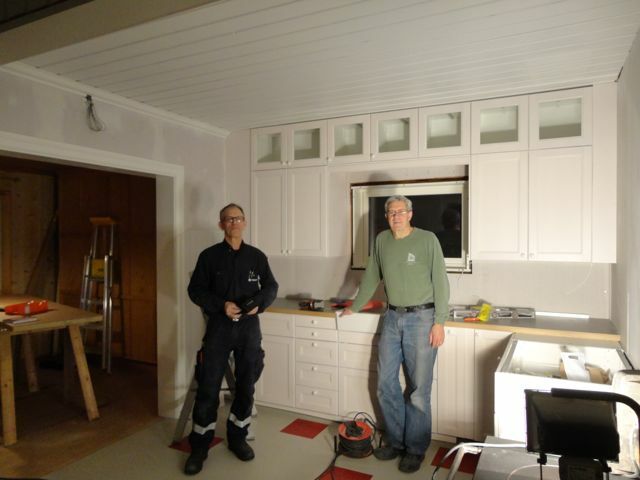 Kitchen Remodel – Part 4 – Fika! While we only took a day and a half off from working on the house while we were in Sweden, don’t think it was all work and no food! 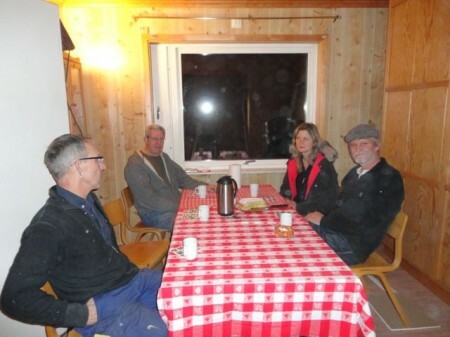 From the very first day, we made sure there was coffee and a little something to eat, even if the atmosphere left something to be desired. 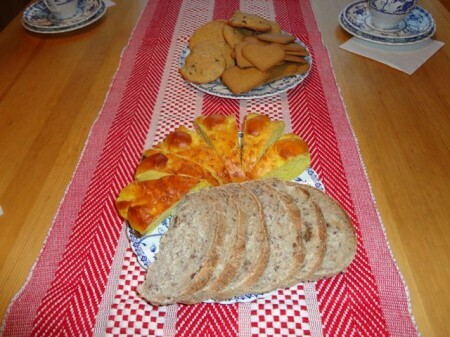 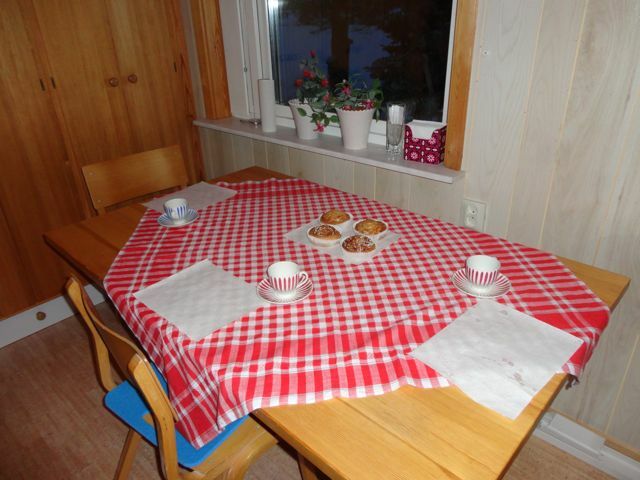 In Swedish, a coffee break is called a fika (FEE-kah). 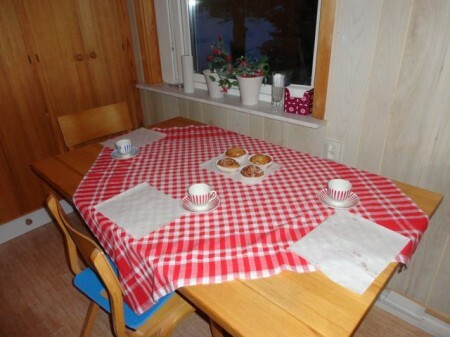 And in Sweden, fika is taken very seriously. 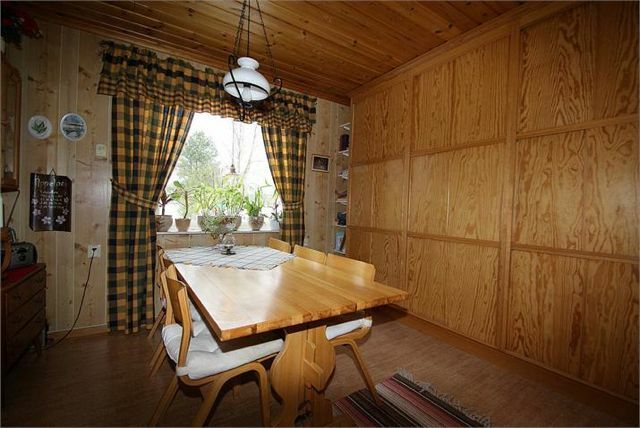 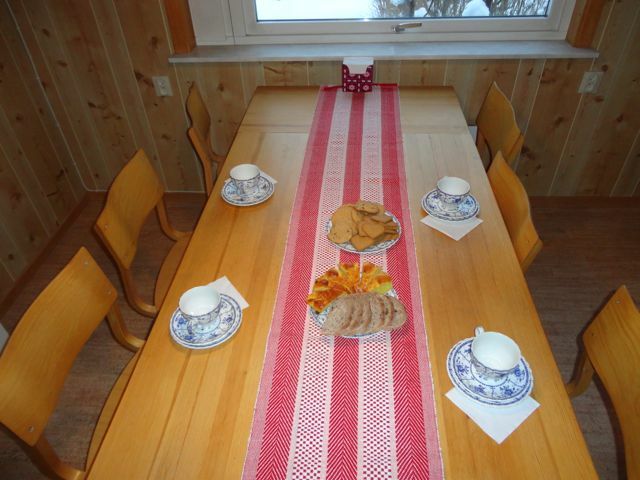 Luckily, Bertil and Sonja left us a dining room table. 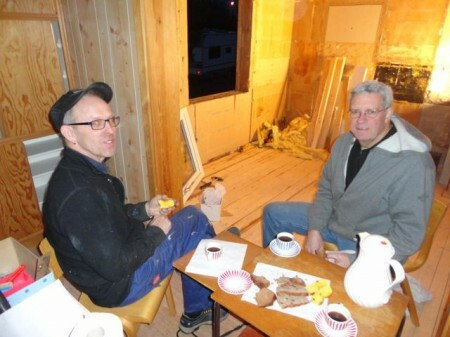 Berit and Gunnar came often to help—and bring fika! And our neighbor, Byns Mats and Annacari welcomed us with a pensionärer kaka — a special and delicious cake. 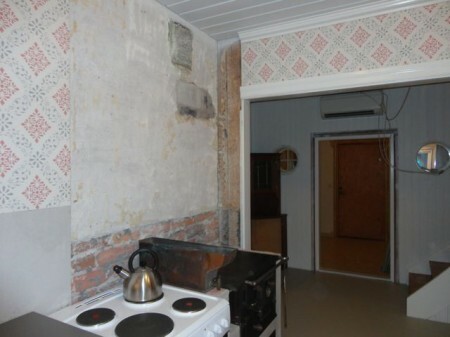 Good thing I’d brought linens! 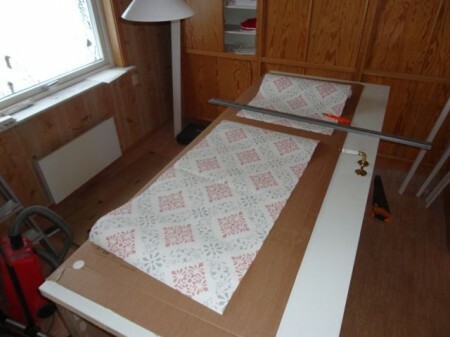 For awhile we had to move the table into the bedroom, but that didn’t mean we skipped fika! 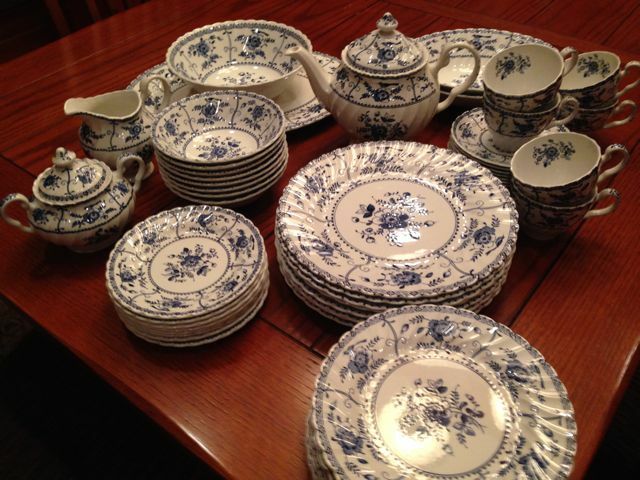 My Aunt Evelyn was responsible for keeping my family in contact with our Swedish relatives, and I thought it fitting that I bring her china with me to our Swedish house. 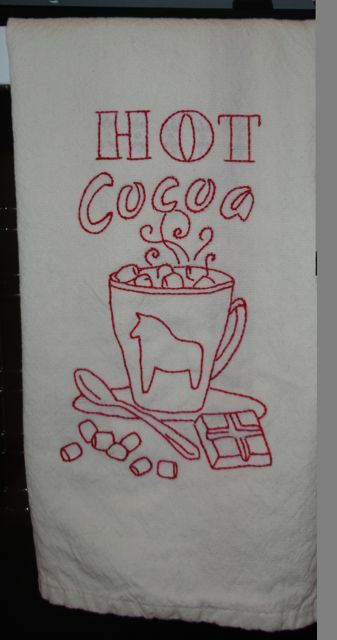 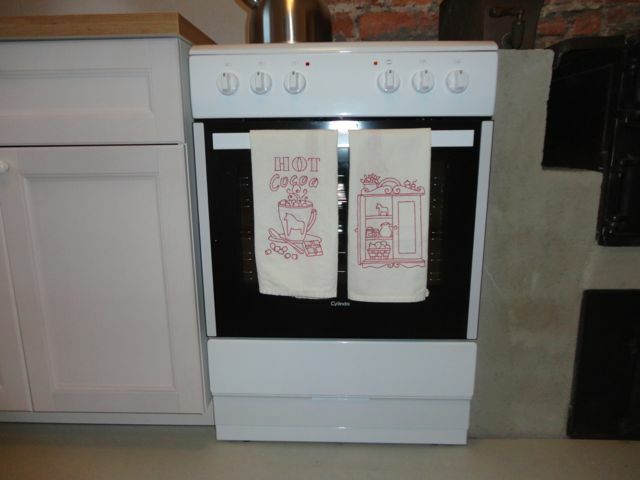 I used it for the first time when Sven-Eric and Anna came for fika. Fika isn’t always something sweet. 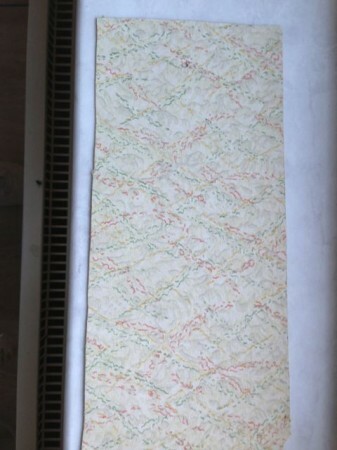 Sometimes it’s a sandwich. 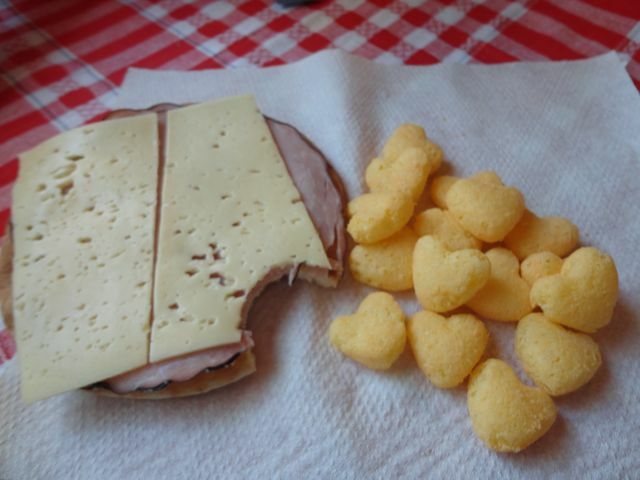 Don’t you love a country whose cheese puffs are shaped like hearts!?! And if we had Coke instead of coffee, there was no problem keeping it cold! 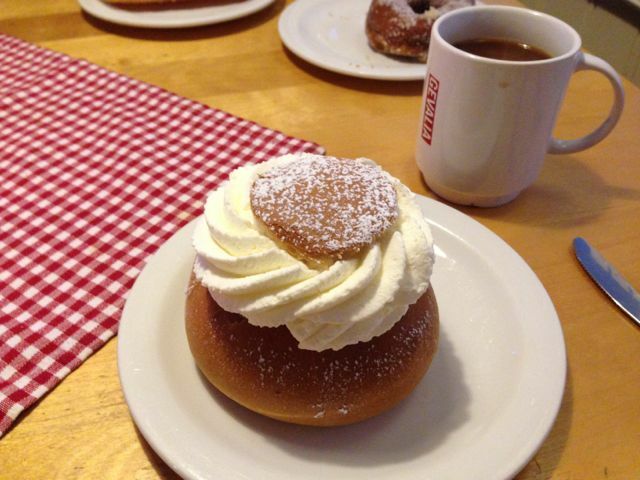 One day, when I had to drive to Vansbro to the hardware store, I stopped at the Vansbro Konditori for semlor – wonderful buns filled with almond paste and whipped cream! Sometimes we brought a Thermos of coffee from Torsten’s, sometimes we got coffee at the mini-mart, and sometimes family or friends brought coffee. 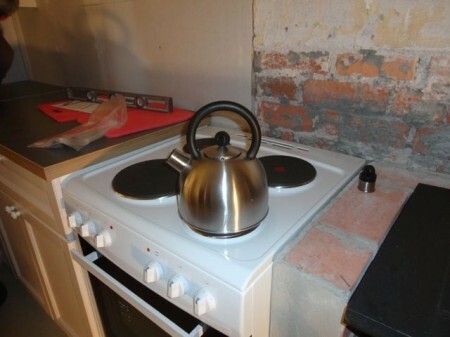 Luckily, a few days before we left, we got our electric stove and were finally able to boil our own coffee! So, as you can see, we worked hard, but, like good Swedes, we didn’t skip fika! 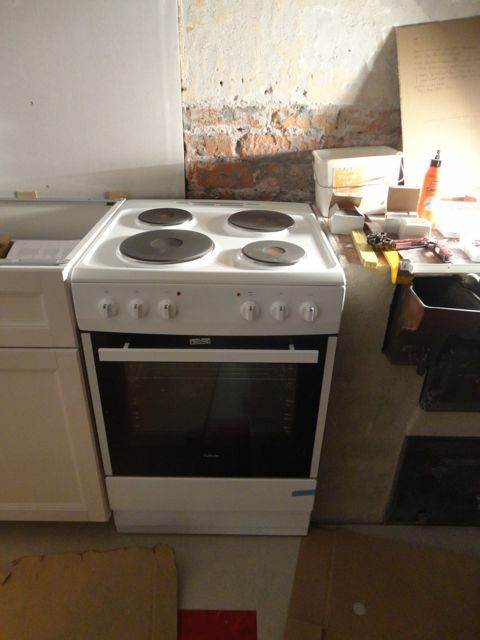 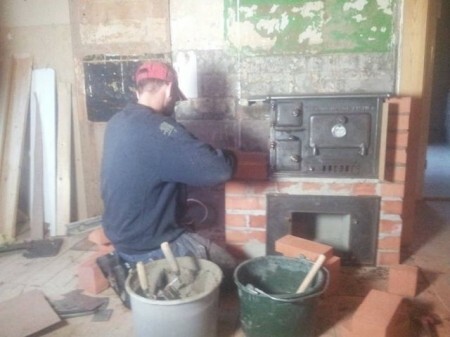 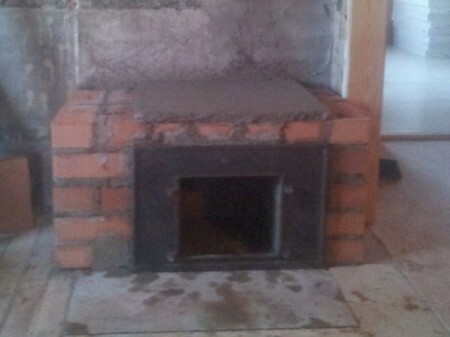 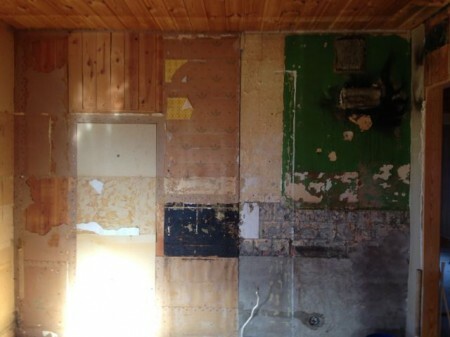 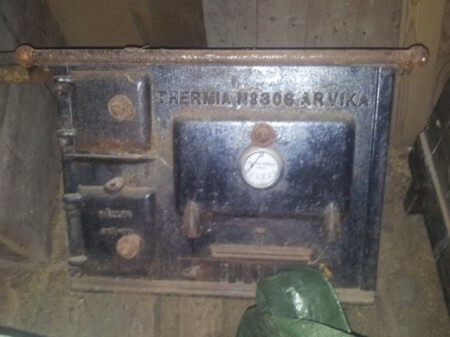 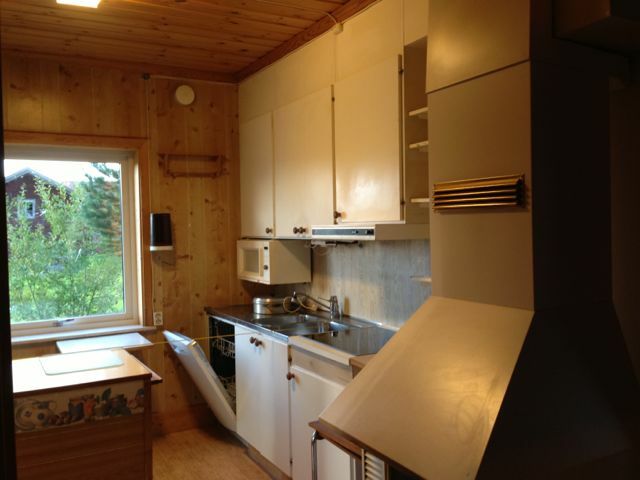 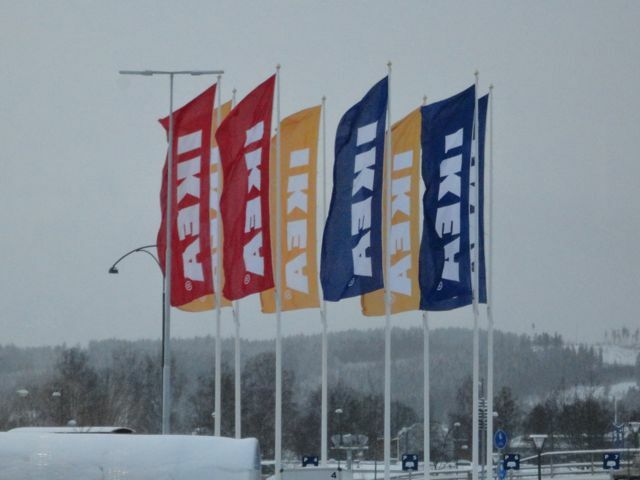 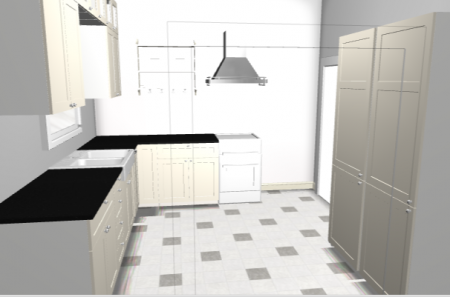 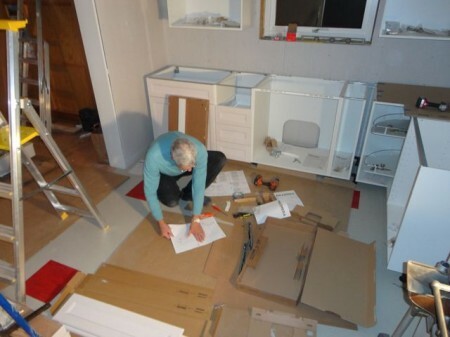 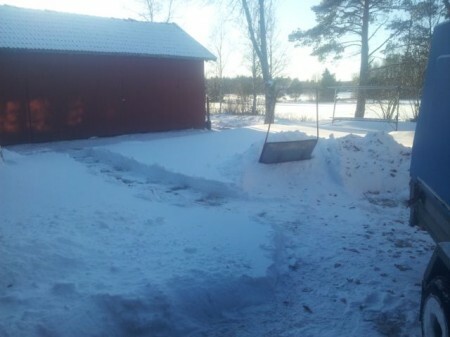 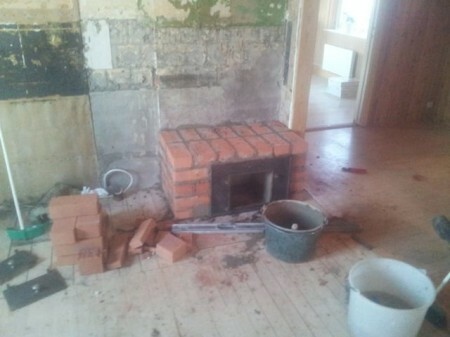 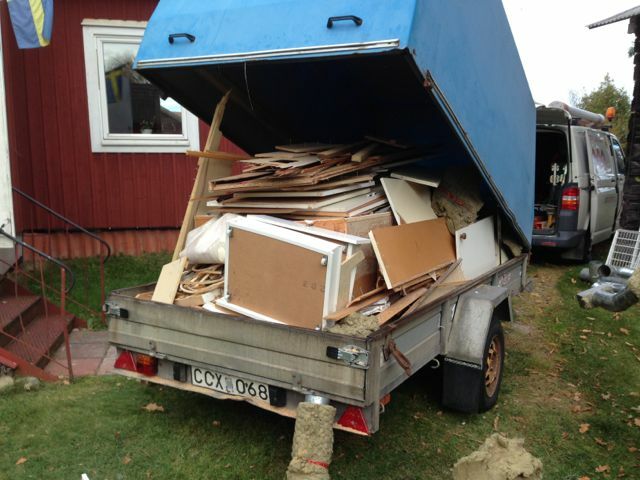 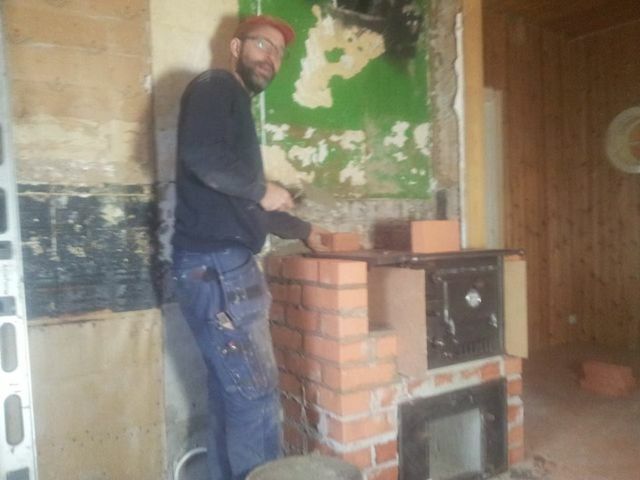 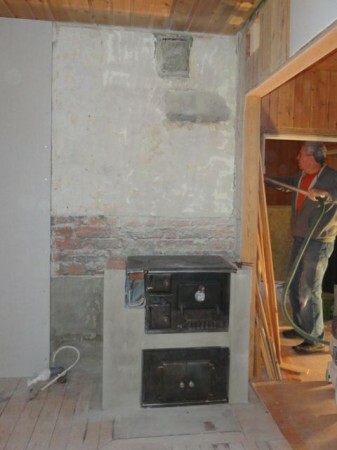 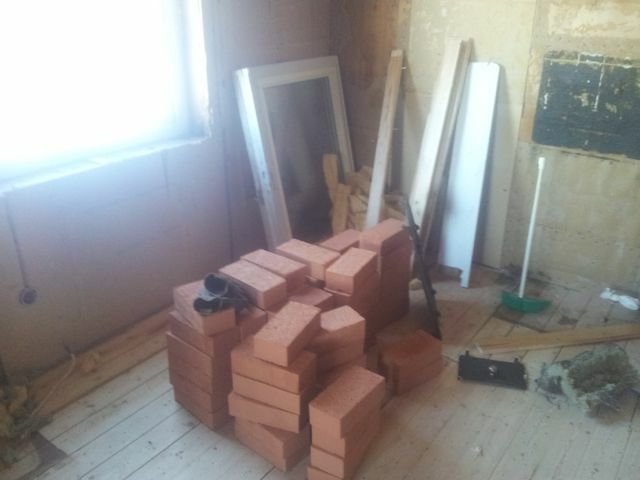 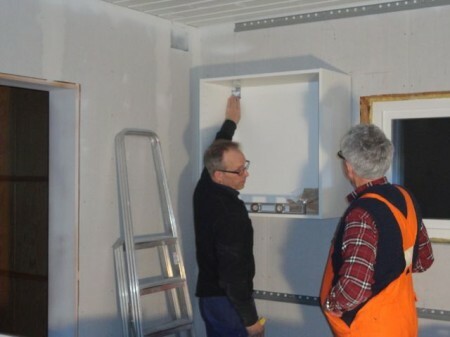 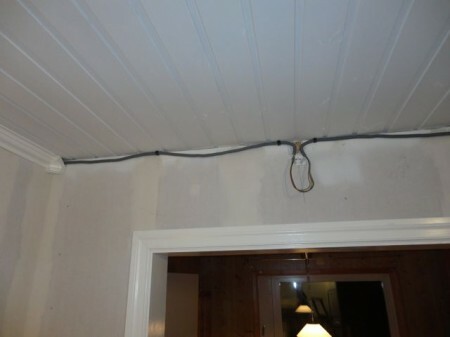 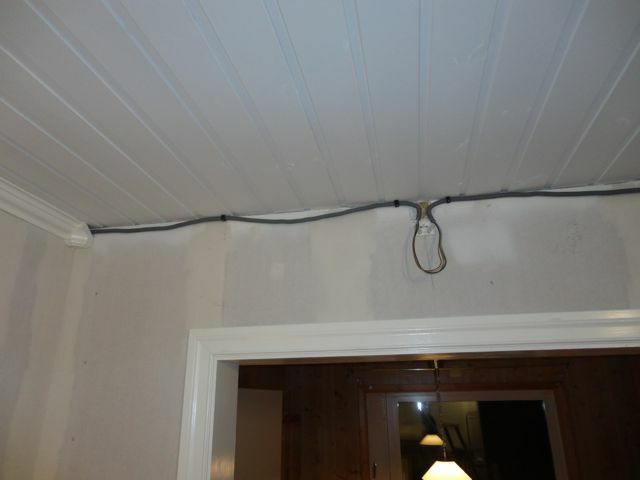 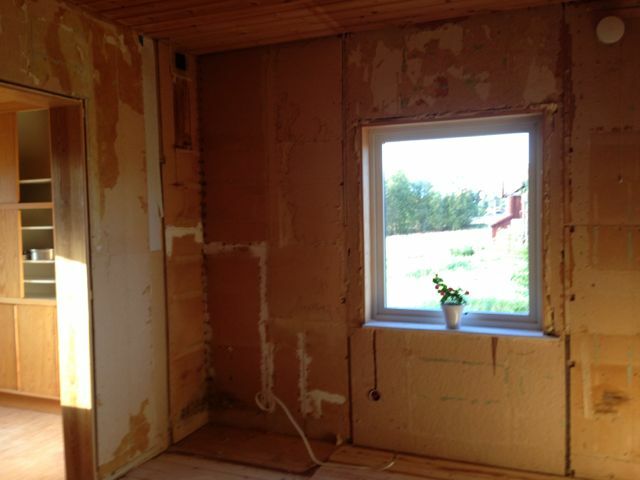 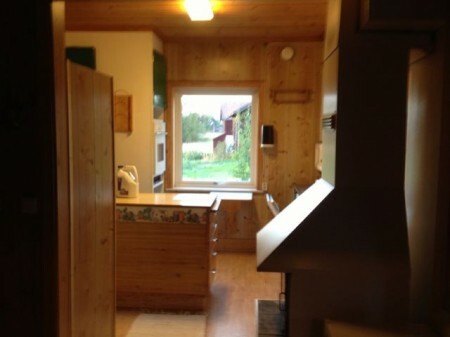 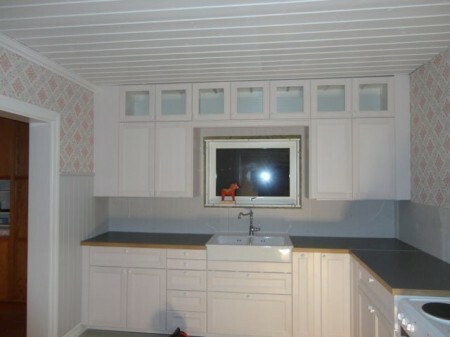 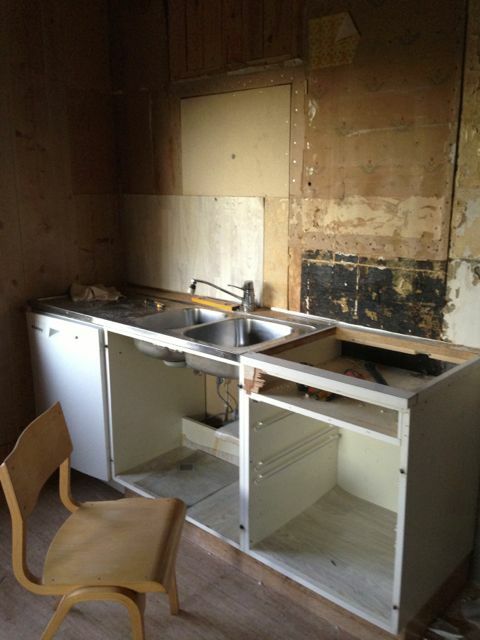 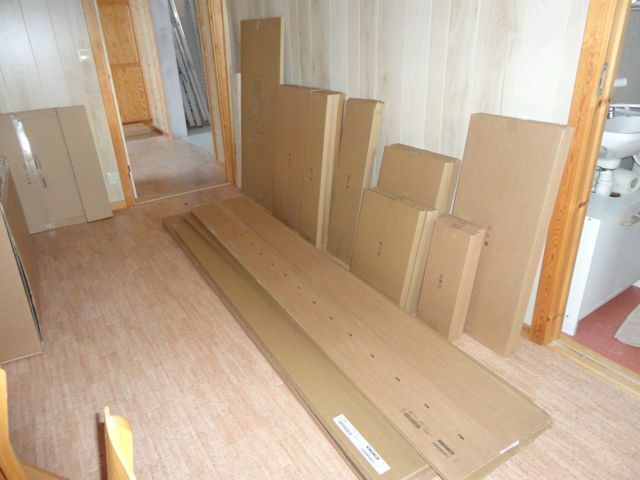 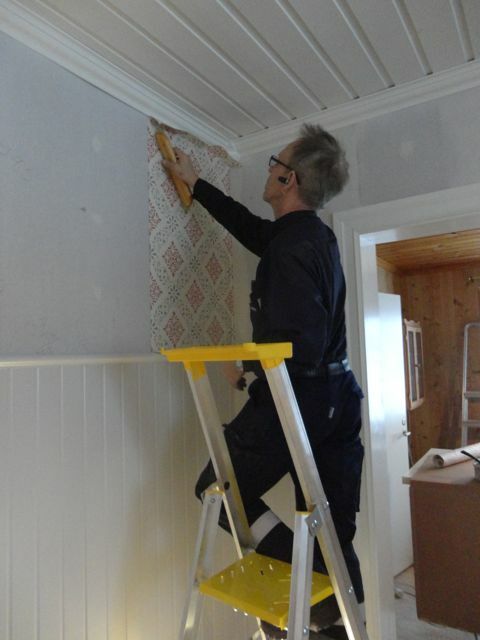 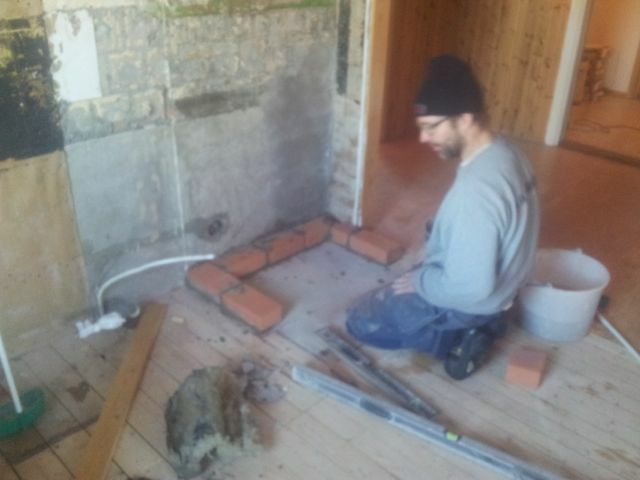 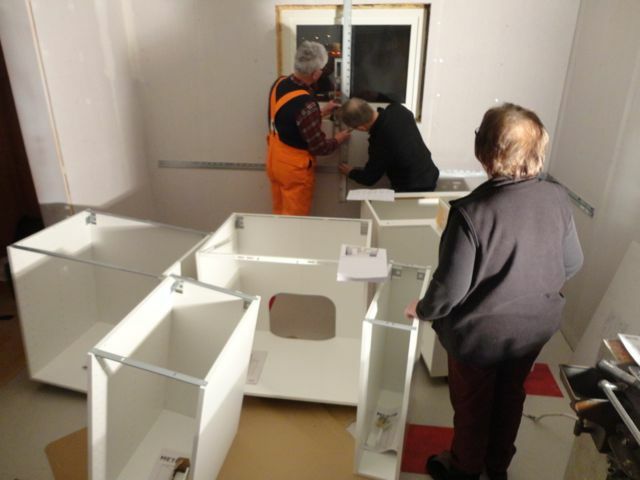 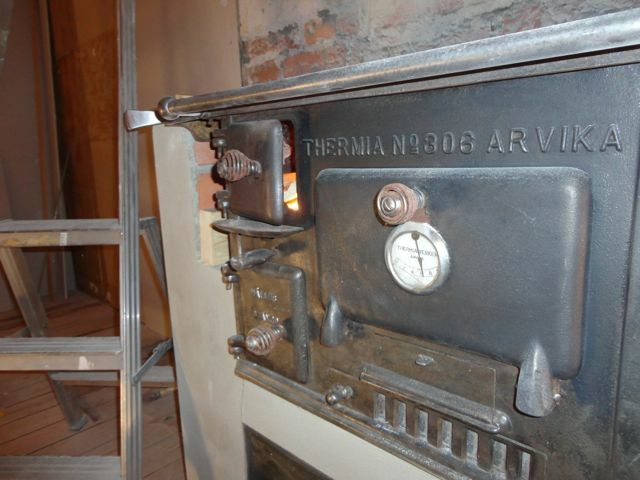 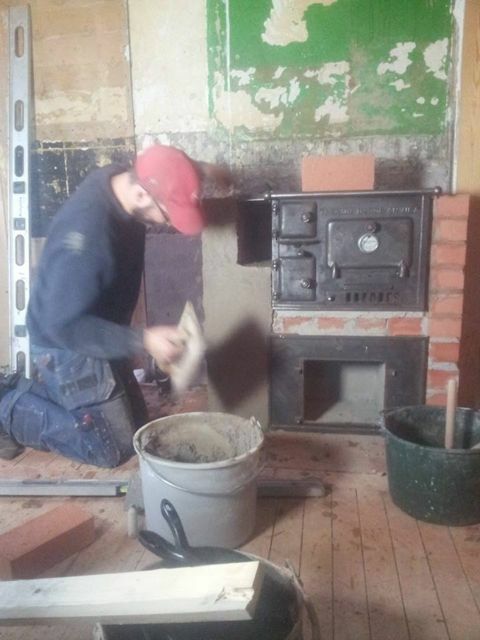 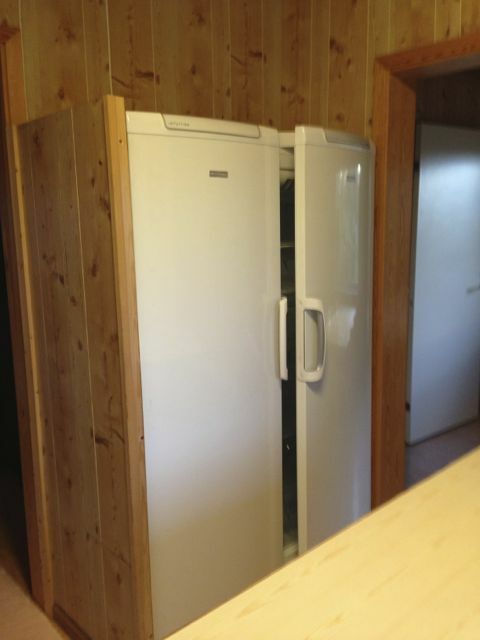 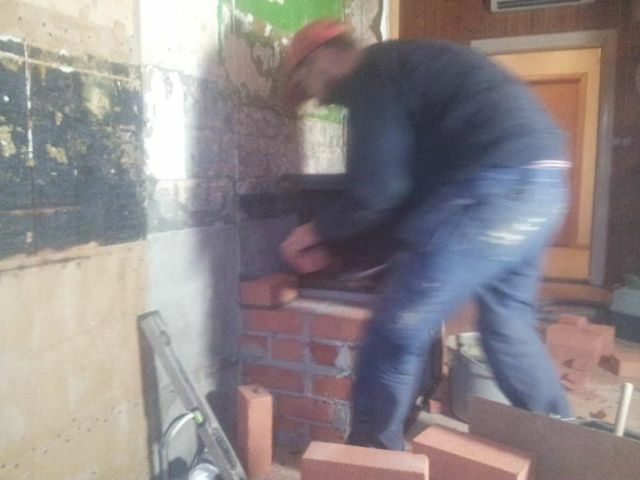 At the end of December, we returned to Sweden with the plan to get the new kitchen done in just under a month! 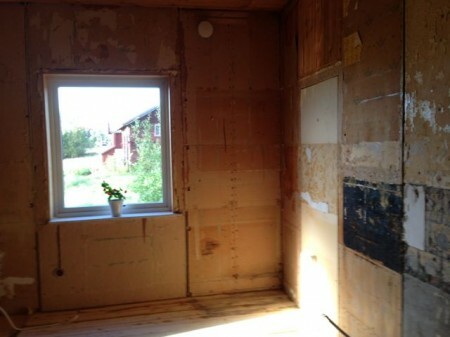 We were down to bare walls and floor. 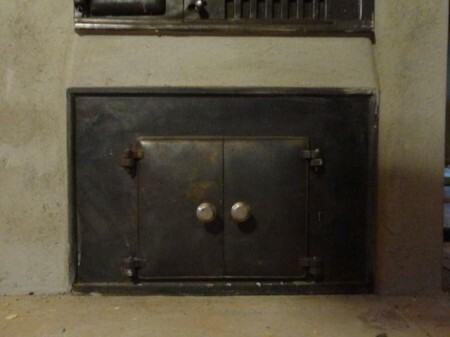 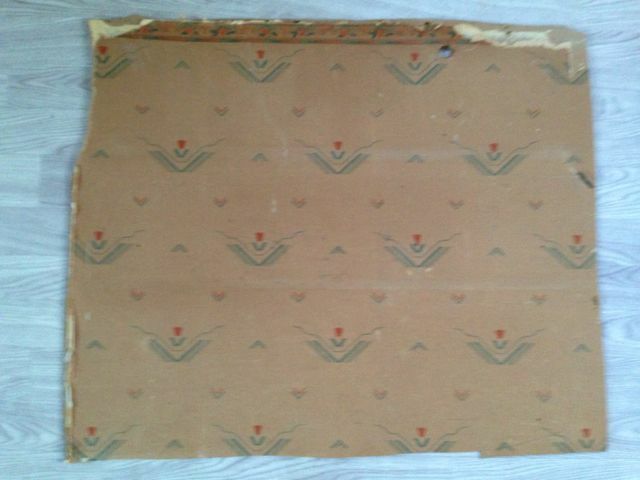 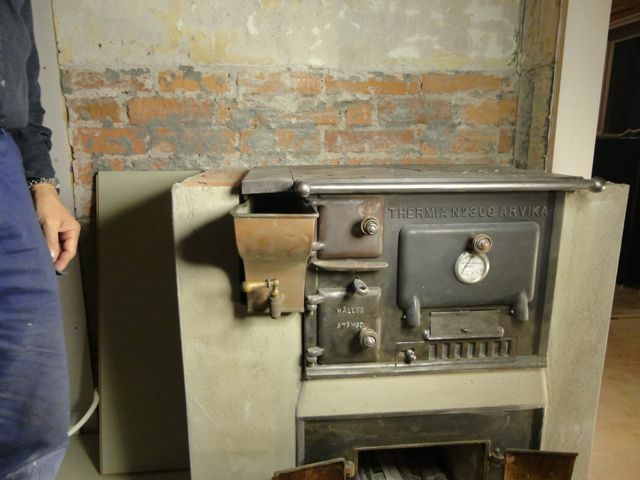 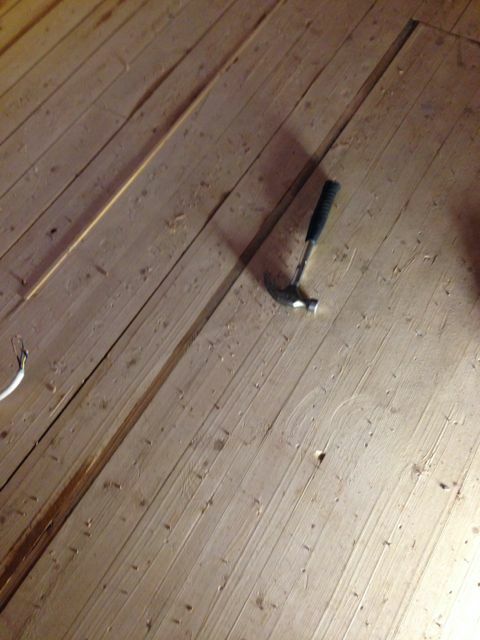 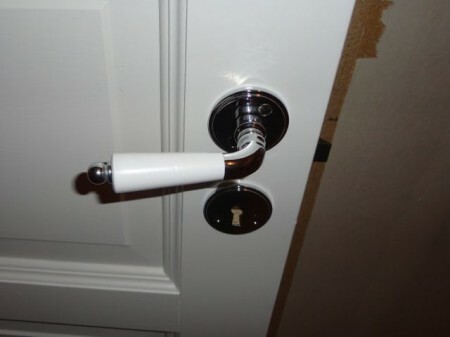 My first job, hammering in all of the nails on the floor to be sure everything was smooth! I mentioned in an earlier post that the existing window came down too low to allow a counter under it, so we bought a new window. You can see how much lower the other one was. 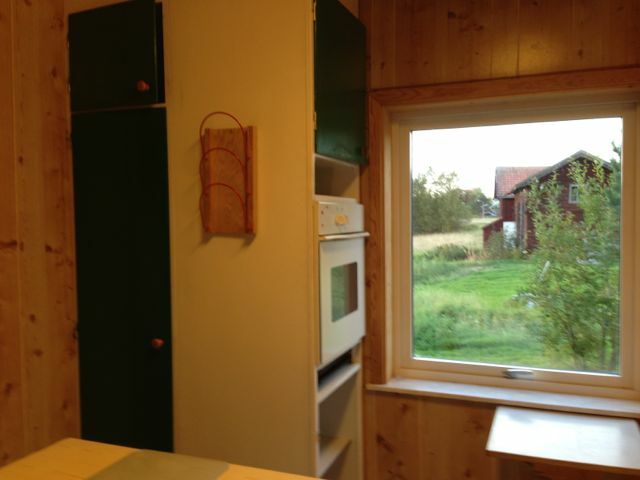 You can also see that it’s very dark out! 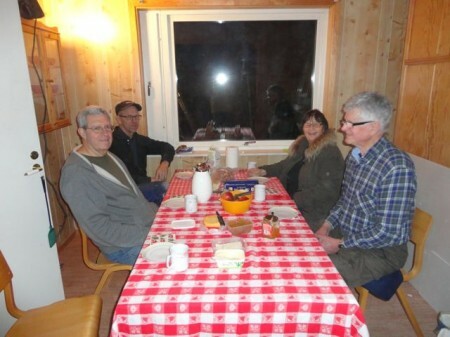 Sunrise was at 9:30 and sunset at 3:00! 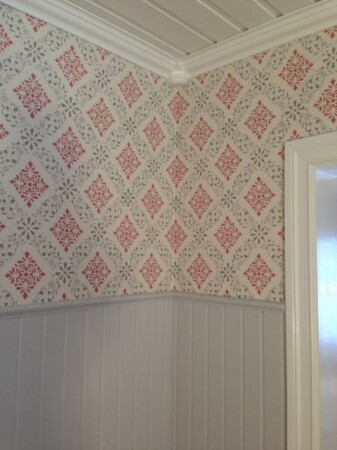 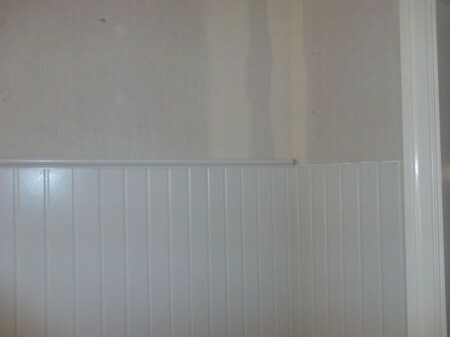 We covered the walls with new plasterboard and decided to paint the ceiling white. 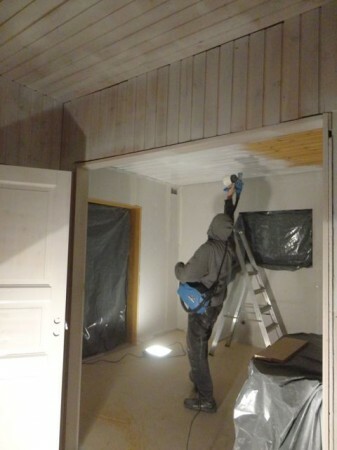 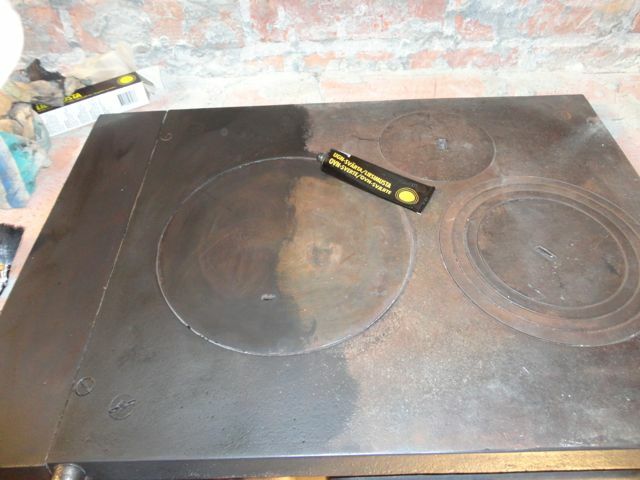 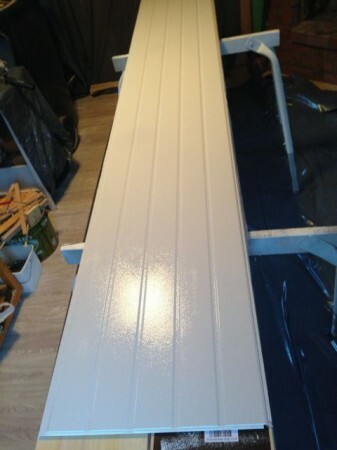 Bob suited up and put on four coats of paint–two of oil based sealer and two latex. 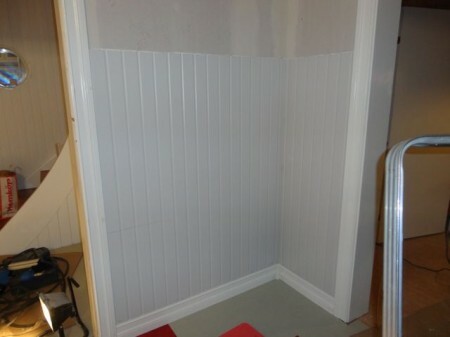 In the meantime, I painted the panels for the wainscoting a pale gray. 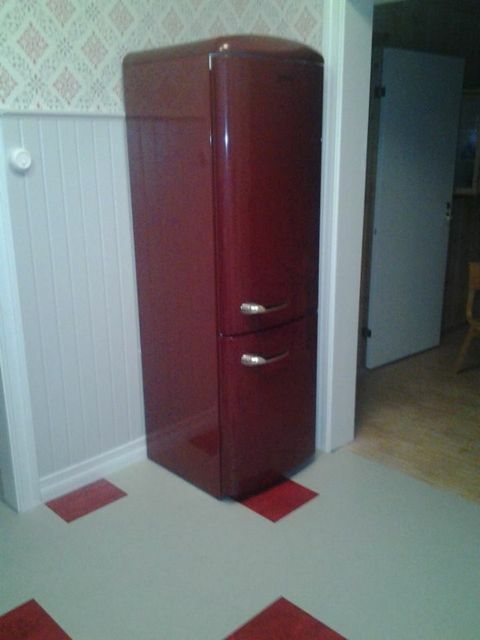 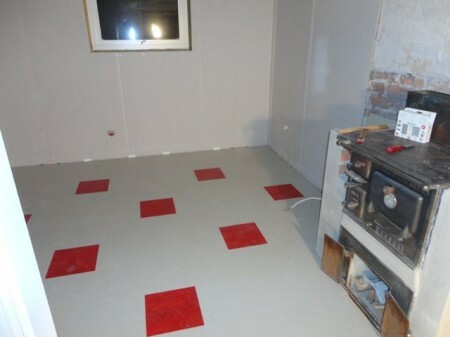 I had chosen linoleum tiles for the floor, mostly gray with a few red. 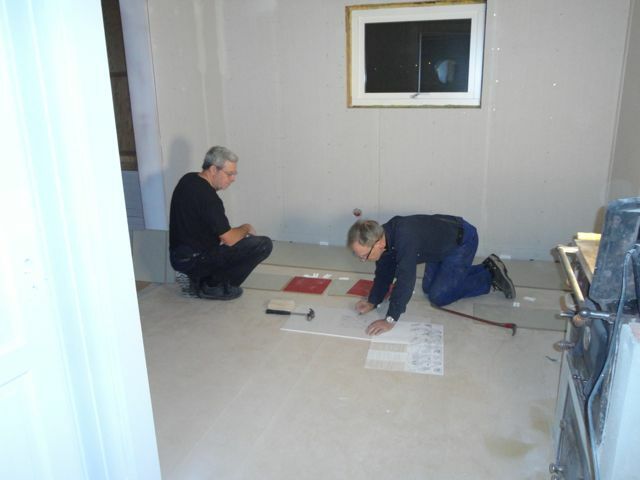 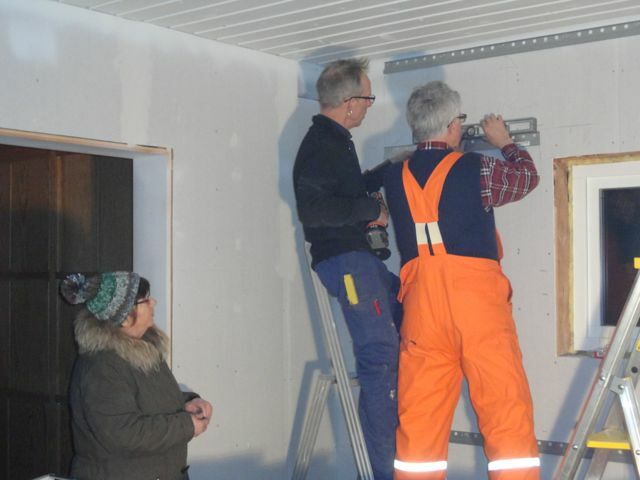 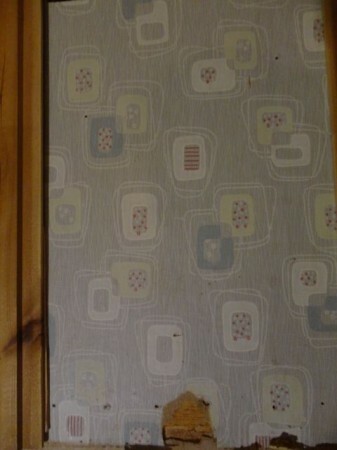 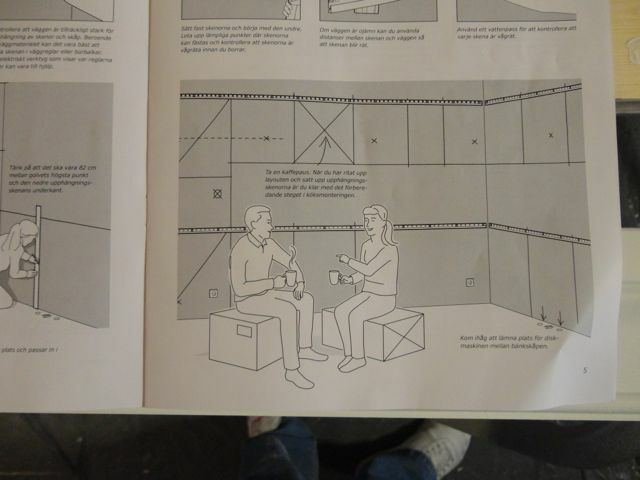 Torsten and Bob did a good job of interpreting the design I sketched out on a piece of plasterboard! 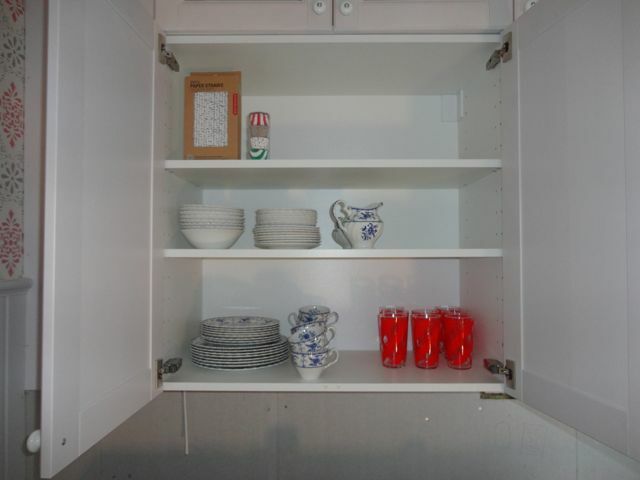 Ever since we’d bought the house in September, I’d been planning the kitchen on Ikea’s nifty kitchen planner. So off we went to Ikea, plan in hand. 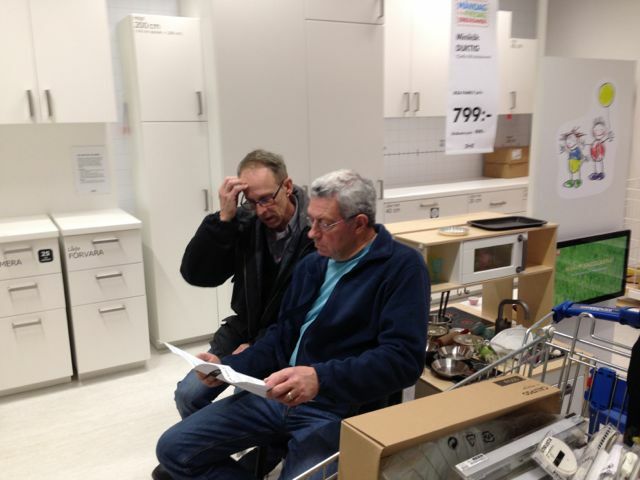 Bob and Torsten looked over installation brochures while we waited for assistance. 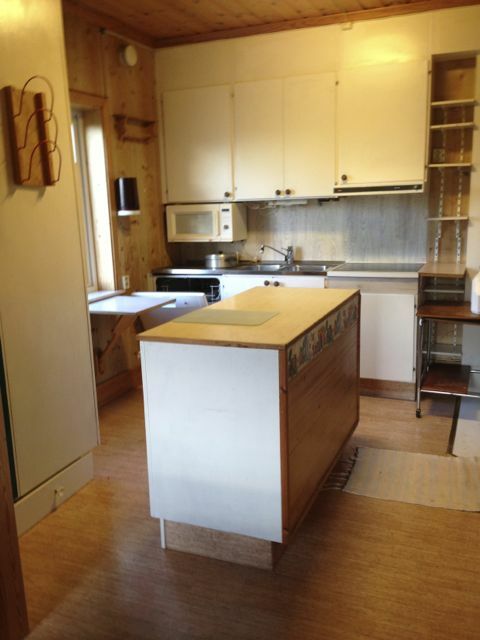 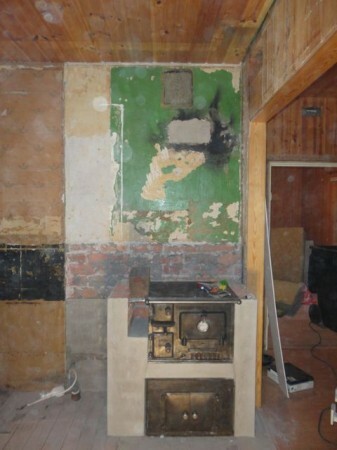 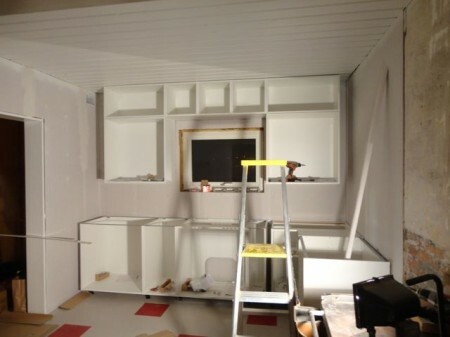 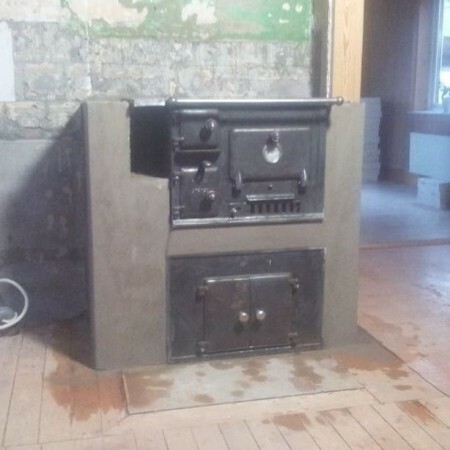 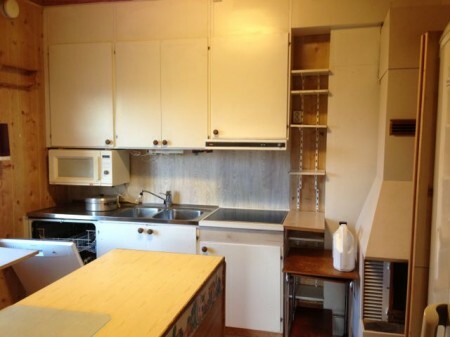 Here’s our kitchen – in boxes! 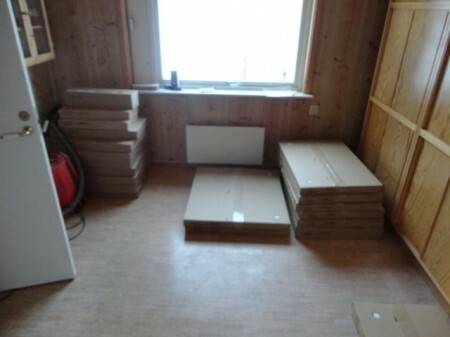 It took two rooms to put them all! 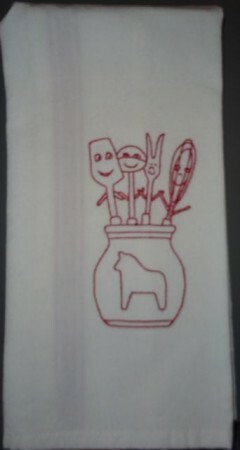 And then the fun began! Torsten and Gunnar figuring it out. Is it all going to fit? 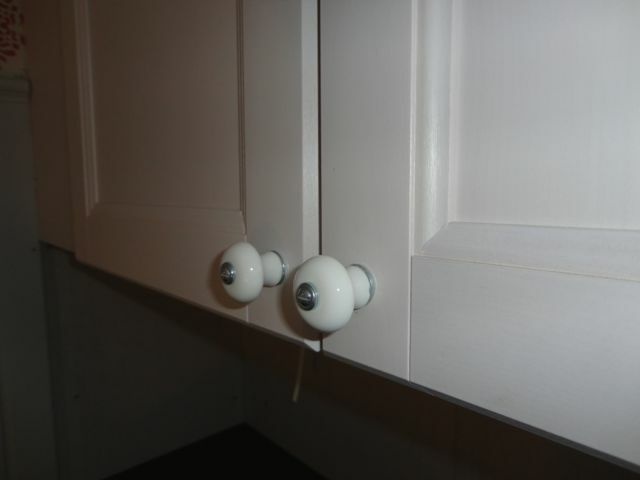 The Ikea system uses rails that are mounted on the wall, and the cabinets hang from them. 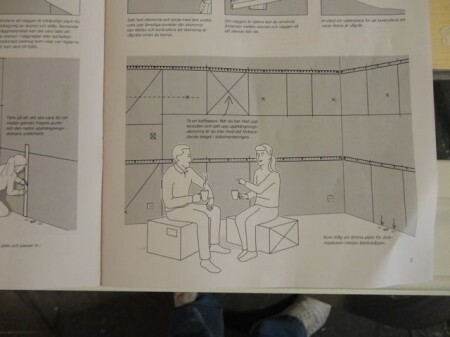 You have to love the Swedish instructions, because they tell you to take a “fika” (coffee break) after getting the rails up! 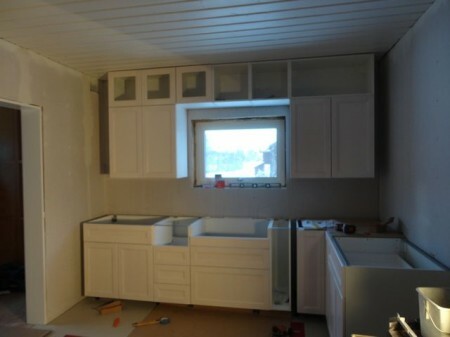 We did as told, then the guys started hanging the cabinets. Let’s see, put tab “A” in slot “B”. 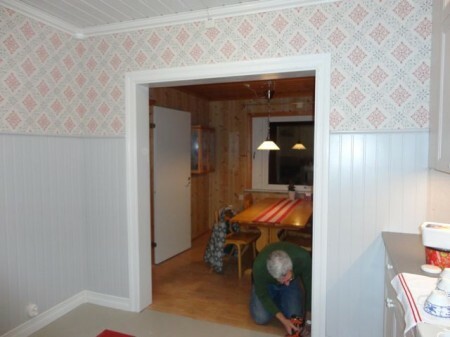 Like all old houses, are walls weren’t exactly straight, but with some tweaking, everything went up. 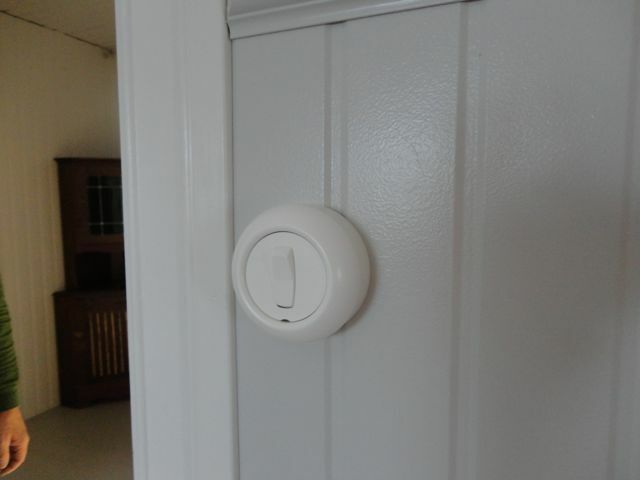 It was exciting when the doors started going on. 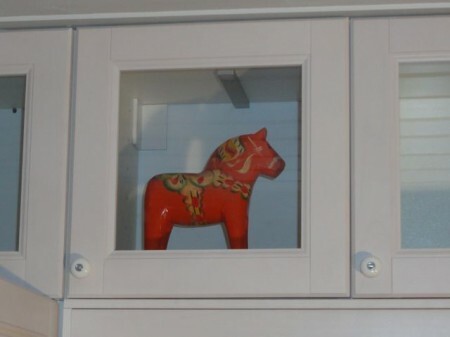 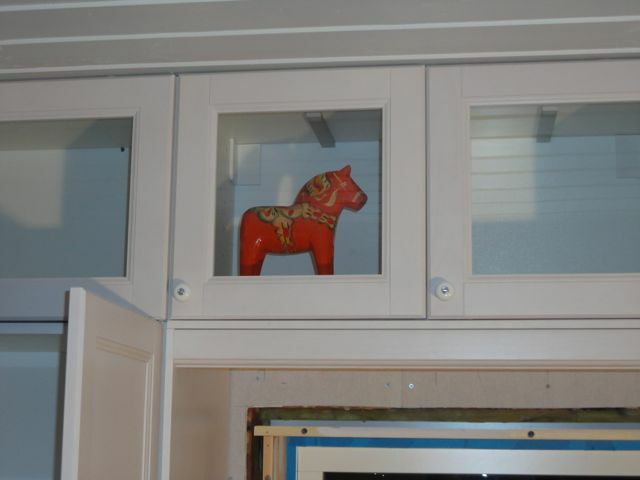 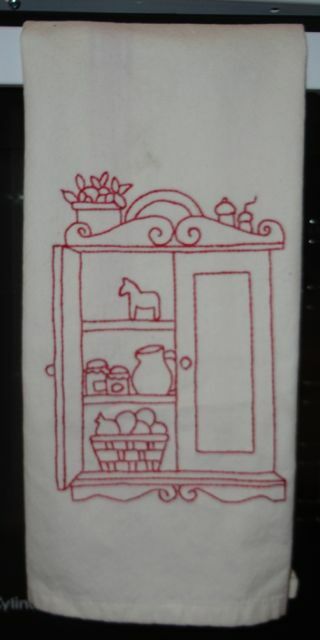 I couldn’t resist putting a Dala horse in one of the cabinets! 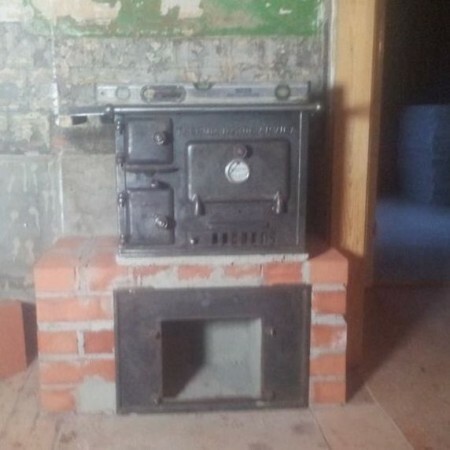 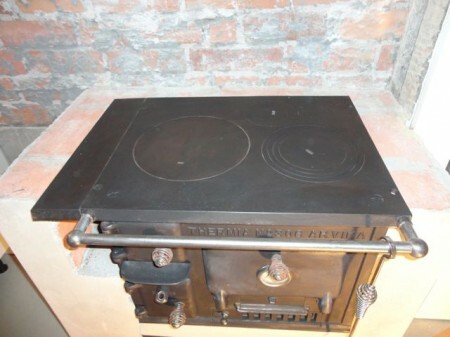 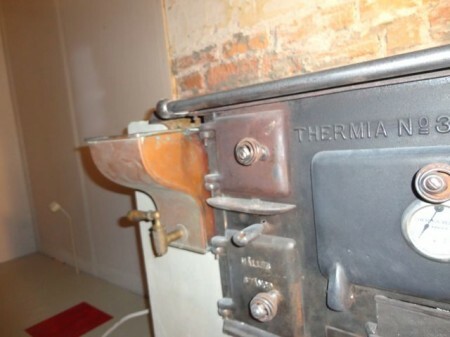 The new stove fit perfectly between the cabinets and the wood stove! Once the cabinets were in, the wainscoting was next.